46. רַבִּי יְהוּדָה אָמַר, זוֹ אַהֲבָה שֶׁאוֹהֶבֶת הַנְּשָׁמָה לַגּוּף. שֶׁכֵּיוָן שֶׁנִּשְׁלָם קִצּוֹ שֶׁל גּוּף, אוֹתָם הַיָּמִים שֶׁנִּגְזְרוּ עָלָיו, כְּמוֹ שֶׁנֶּאֱמַר וַיִּהְיוּ חַיֵּי שָׂרָה, מַה כָּתוּב? וַיָּקָם אַבְרָהָם מֵעַל פְּנֵי מֵתוֹ וגו’. אָמַר רַב יְהוּדָה אָמַר רַב, מַה כָּתוּב בַּפָּסוּק קֹדֶם זֶה? שֶׁכָּתוּב וַתָּמָת שָׂרָה בְּקִרְיַת אַרְבַּע הִיא חֶבְרוֹן בְּאֶרֶץ כְּנָעַן. 47. רַבִּי יִצְחָק אָמַר רַבִּי יוֹחָנָן, בָּרָא הַקָּדוֹשׁ בָּרוּךְ הוּא אֶת הָאָדָם וְהִכְנִיס בּוֹ אַרְבָּעָה דְבָרִים הַנֶּחֱלָקִים בַּגּוּף. אָמַר רַבִּי יְהוּדָה, הַמְחֻבָּרִים בַּגּוּף. רַבִּי יִצְחָק אָמַר הַנֶּחֱלָקִים בַּגּוּף, שֶׁהֵם חוֹלְקִים לְהִתְפָּרֵשׁ כָּל אֶחָד לִיסוֹדוֹ כְּשֶׁיּוֹצֵא הָאָדָם מִן הָעוֹלָם הַזֶּה. רַבִּי יְהוּדָה אָמַר, הַמְחֻבָּרִים בַּגּוּף בְּחַיָּיו, מַשְׁמָע מֵהַפָּסוּק שֶׁכָּתוּב וַתָּמָת שָׂרָה – זֶה הַגּוּף. בְּקִרְיַת אַרְבַּע – אֵלּוּ אַרְבָּעָה הַיְסוֹדוֹת. הִיא חֶבְרוֹן – שֶׁהָיוּ מְחֻבָּרִים בְּגוּפוֹ בְּחַיָּיו. בְּאֶרֶץ כְּנָעַן – בָּעוֹלָם הַזֶּה הַבּוֹחֵר אָדָם בִּזְמַן מוּעָט. Rabbi Yehuda says that ‘Now Sarah lived…’ is the count of years decreed for the body to live in this world. 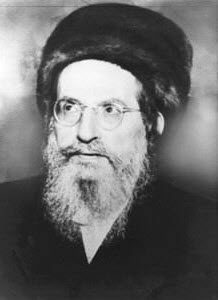 Rabbi Yitzchak quotes Rabbi Yochanan, ‘The Holy One Blessed Be He, created man and put in him four separate elements’. Rabbi Yehuda says ‘connected in the body’ and Rabbi Yitzchak says ‘separated in the body’ and go back to its original state when the soul leaves the body. Rabbi Yehuda explains himself saying; ‘and Sarah died’ is the aspect of the body, ‘at Kiryat-Arba’ (city of four), is the four elements and ‘is Hebron’ implies ‘connected’ to the body during his life. The word Hebron, ‘חברון’ has the root ‘חבר’ that means ‘connection’. ‘in the land of Canaan’ means ‘connected’ in this world that the soul comes to connect for a short time. The four elements are Fire, Air, Water and Earth that God used to create the body of Adam. According to Rabbi Yitzchak the elements go back to their source when the soul leaves the body. Rabbi Yehuda says ‘connected’ to mean that their purpose is to support the soul in its work in this world. The four elements are expressed in all aspects of our lives. The Zodiac is divided into the four types, while each one of us has a dominated element that is related to his spiritual work in this world. The planets in our solar system are also made from the four elements. The Sun is a planet of fire,Uranus and Neptune are water, Jupiter and Saturn are gas, Mercury, Venus and Mars are terrestrial (earth) planets. Our Earth has all four elements when we consider the core as fire. Both Rabbis are correct and we follow Rabbi Yehuda that teaches us to use the body for the purpose of improving the state of the soul because the time to live in this world is very short. Daily Zohar # 2576 - Chaye Sarah - Tell my beloved that I am sick with love Daily Zohar # 2578 - Chaye Sarah - Where does the soul go?